SBI Life Insurance has launched ‘Thanks A Dot’, an innovative breast cancer awareness initiative that is supported by the Women’s Cancer Initiative-Tata Memorial Hospital. The programme intends to empower the women of India by educating them about early lump detection through simple self-examination techniques. 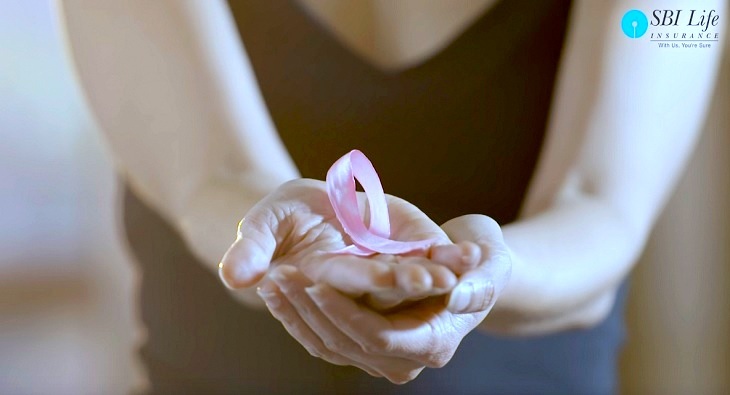 Speaking about the initiative, Rajiv Dingra, Founder and Chief Executive Officer, WATConsult said, “Early detection is the key to breast cancer survival and even though many women are aware of this, most are unsure of the feel of a lump formation. Thus, taking an inspiration from the Braille language and Power of Touch and to inculcate a habit of self-examination at an earlier stage, we created an innovative product - "Thanks A Dot", an easy-to-use self-training puzzle card to bring the power detection to your fingertips and enabling women to take necessary actions sooner rather than later.” The first phase of the initiative kick-started on International Women’s Day, featuring the ‘Real Life Real Story’ video of Mrs. Sujaya Walia, a breast cancer survivor, and activist. In the video, Mrs. Walia is seen talking about her journey fighting cancer, how family and financial preparedness holds key and urges more women to come forward and discuss such issues openly.